In a part of Switzerland renowned for its warmth and Mediterranean light, Lake Maggiore has been attracting visitors for over 100 years. 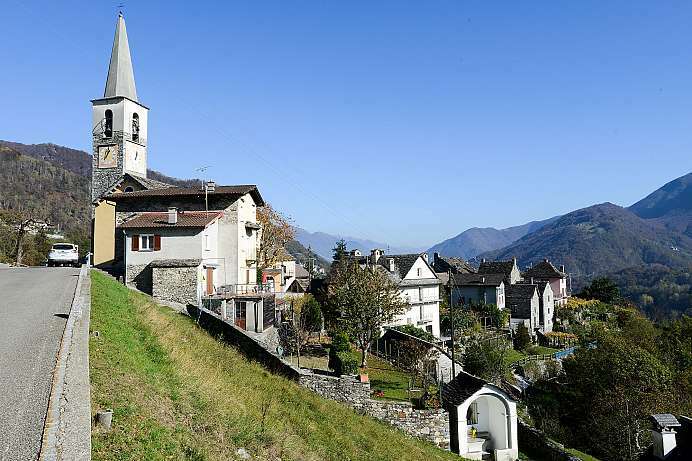 While its northern tip is part of the Swiss Ticino, it reaches as far south as the Po Valley. The walks above the lake offer views which remind one of the Côte d'Azur near the heart of Europe, with the Alps as a backdrop. There is everything here: unspoiled nature, spectacular scenery, the best climate in Switzerland, major cultural events, beaches, lakeshores, an early spring, a golden autumn, wine and food specialties, and an infinite number of possibilities for excursions and every kind of leisure activity, from golf to extreme sports like canyoning. 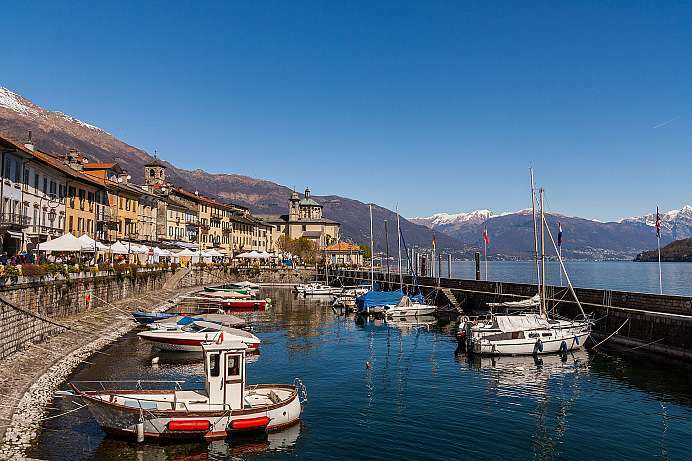 The picturesque township on the western shores of Lake Maggiore has a beautiful waterfront, where a market is held every Sunday. It has a beach, a church from 1571 and a historic center. Located just west of the city, the Cannobino, a rushing mountain stream, has dug a deep gorge. The Ticino valley stretches from Intragna on Lake Maggiore to Camedo in the west at the Swiss-Italian border. It owes its name to the numerous side valleys. There are not 100 but more than 150! Hiking trails along former mule tracks lead through the chestnut forests and on to ancient old villages, which are mostly deserted or inhabited by artists. The romantic valley is made accessible by the Centovalli Railway, which travels over 83 bridges and through 34 tunnels. North of Lake Maggiore rises the Cimetta. 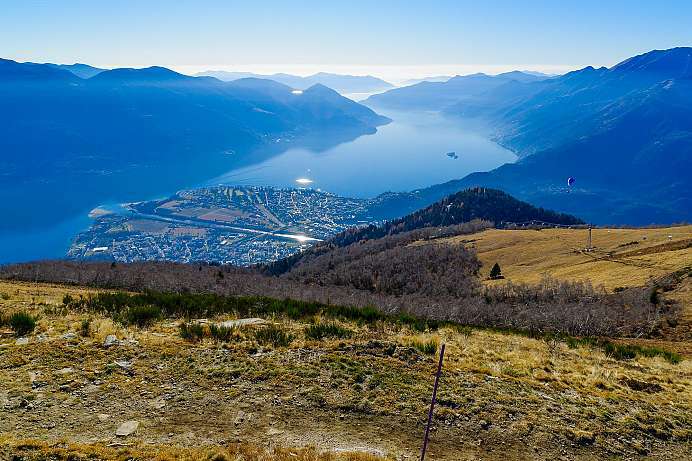 Via the Cardada, the local mountain of Locarno, the 1,671 meter high peak is easily accessible by cablecar and hiking trails. 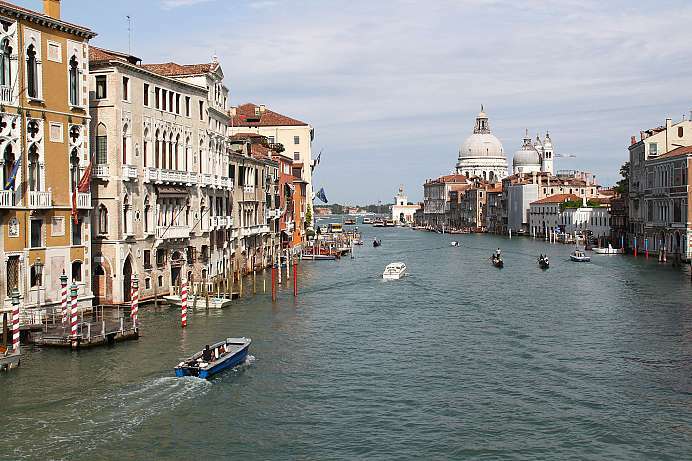 From the top you have a sensational view over the lake and the Maggia Delta. On a good day you can see Ascona, the lowest point in Switzerland, and the Monte Rosa, the highest point of Switzerland. Those who still have energy, can continue to Cima della Torosa and descend over the lake of Verzasca. 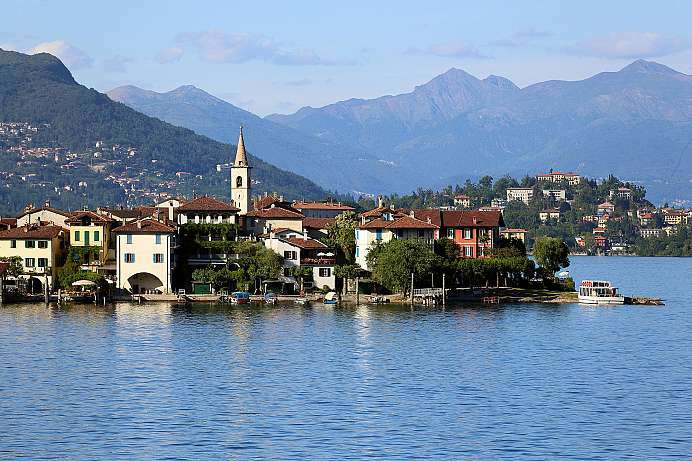 The Swiss resort on Lake Maggiore has received its town charter from Frederick Barbarossa. The medieval center of the posh town is the Piazza Grande where every Thursday a market takes place. Originally the Piazza was right on the lake. Today the water's edge is far away with debris being washed up by the mountain river Maggia year after year. Also worth seeing is the Romanesque church of San Vittore, with its ornate crypt. 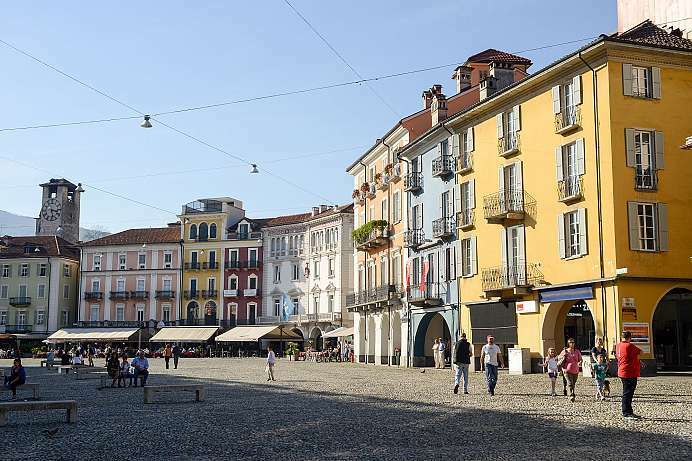 The heyday of this town on the shores of Lake Maggiore began when the Simplon railway line connected it with the north. The promenades along the shoreline, with their magnificent views, still attest to that era. A number of boats will ferry you from Stresa to the Borromean Islands and to other sights on Lake Maggiore. The Villa Pallavicino and its botanic gardens are only a short distance to the south.